“I specialize in a lot of things — almost to the point of not being able to say I specialize,” says thirty-year industry veteran Shanna Moll. 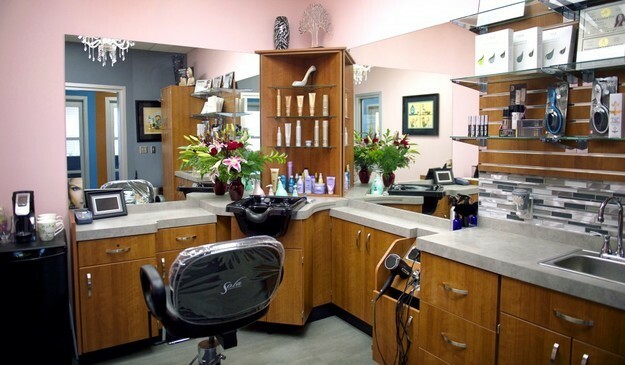 Shanna began her career doing cuts and color, and moved into extensions twenty years ago. “I’m triple certified in extensions and in color, and I’m a big believer in education and certification,” Shanna says. “The industry,” she continues, “is moving away from true education.” Shanna’s referring to apprenticeships. She completed her cosmetology degree while simultaneously “studying under a gentleman who had done hair for thirty-plus years,” she says. That’s an opportunity today’s incoming stylists don’t typically get. When it comes to hair, there’s a “steep learning curve,” as Shanna puts it. “New stylists – all stylists, really – need to get certifications,” she adds. But that’s easier said than done: “The problem is that intensive, really good training costs a lot of money,” Shanna explains before disclosing that last year alone she spent nearly $9,000 on continuing education costs. There’s a caveat, though: “You make it back tenfold if you can implement what you learn into your business,” Shanna explains. Most recently, Shanna has been studying hair integration systems and wigs, and she’s seeing positive financial results as she incorporates her new knowledge into her existing business model. “I started that a year ago, and I’m super busy with it,” she says. It’s this sort of self-evolution – enabled by education, flexibility and risk-taking – that’s kept Shanna’s business thriving for decades, through periods of economic downturn, and in a wide variety of salon settings. Shanna’s next move was to a concept “similar to Sola,” says Shanna. Only, Shanna adds, “This was over two decades ago, and the walls didn’t quite go to the ceiling.” That endeavor barely lasted a year, and Shanna relocated to Austin, where she began working on her personal brand and adding to her repertoire while leasing space in another stylist’s salon. “It wasn’t as high-end as Sola,” Shanna says. This August marks Shanna’s second anniversary with Sola Salons Northcross — and it marks the end of a long journey toward salon ownership. “I started in a large room, and have added quite a bit to my business; now I’m moving to a double room as soon as it’s decorated — probably at the end of next week,” says Shanna. From an early age, Shanna “learned a work ethic and what running a business entails,” she says. “I grew up in a family that had always owned companies — everything from ladies apparel to night clubs to adult boutiques. We’re a well-rounded family – and a whole lot of fun, obviously,” she adds. One of the most important aspects of business that she learned about was marketing. “You have to be talented – absolutely – but you have to get the client in the chair first,” Shanna says. She started branding her business decades ago, when she created her tagline and a logo depicting a woman sprawled out on a chaise lounge. “It’s elegant yet fun and personable, and the couch lends itself to hair therapy,” Shanna says. 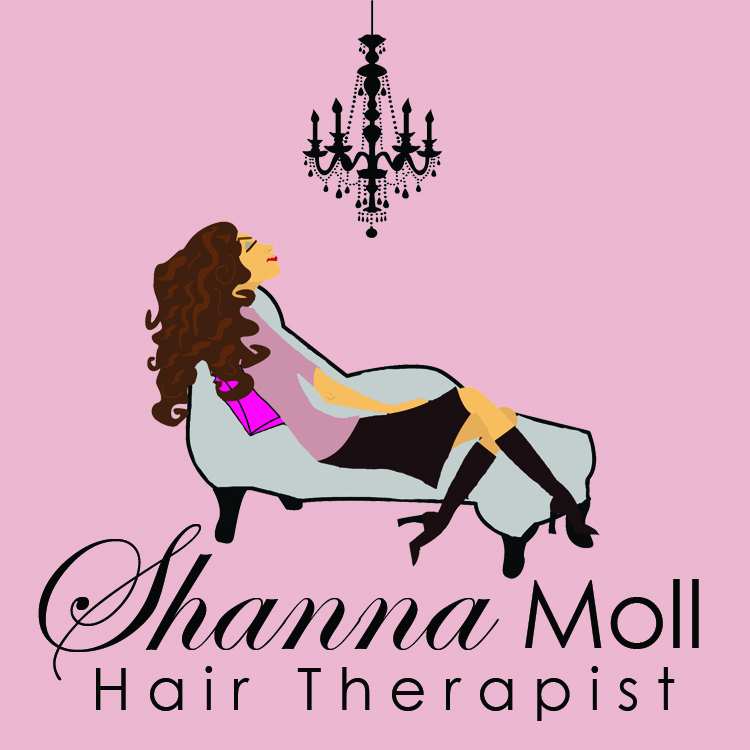 And, that’s Shanna’s brand — Shanna Moll: Hair Therapist. In return, Shanna’s clients have opened up to her about their problems — and that’s given way to lasting, long-term relationships. “A lot of people in the industry are told to only talk about the client. 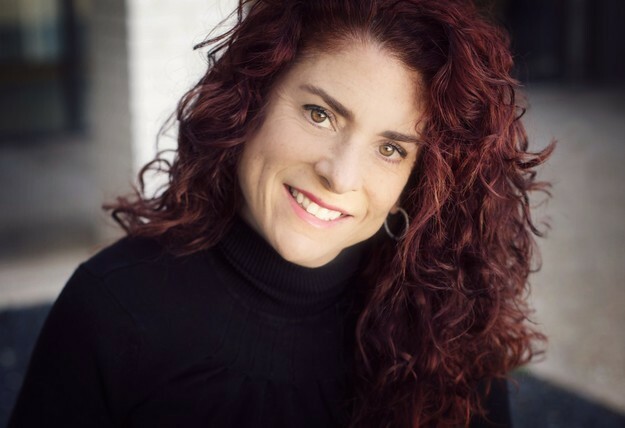 But,” says Shanna, “the more you’re wiling to share about yourself, the more you’ll build a relationship based on trust.” And, in a competitive, saturated industry, it’s relationships that’ll give way to a lasting career like Shanna’s.